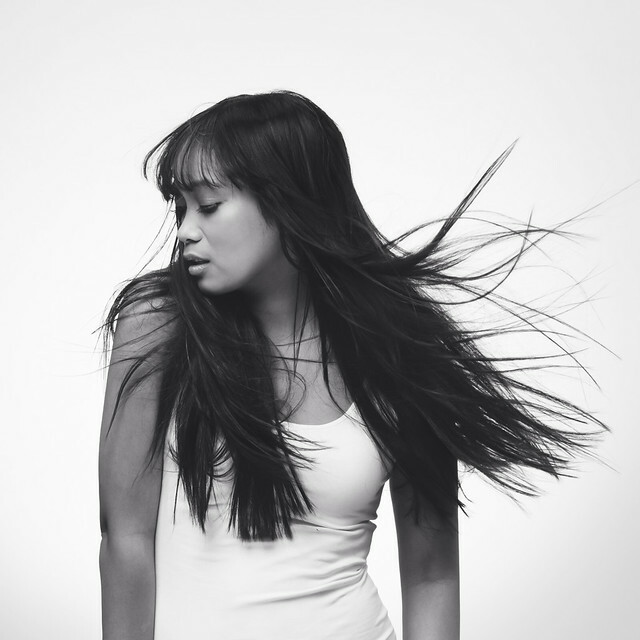 Mode Junkie: LONG HAIR DONT CARE. remember the shooting i did in Basel one month ago where i got these gorgeous long locks for a day? i am finally able to post it! i never (I MEAN, NEVER EVER) had long hair. the length i have now is the longest i get and then i just decide to chop it all off to a bob. i mean, i have a 5 year old kid and a day job so the last thing on my mind is washing hair all morning and doing lovely things with it. though i really, really want to do just that. 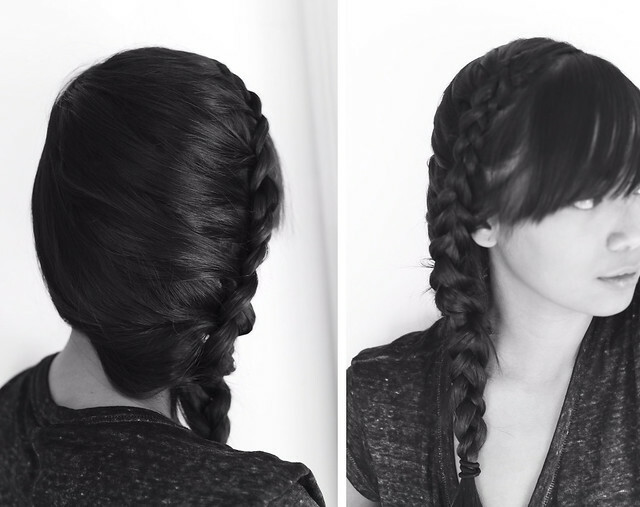 but there are times when i wish i can make hairdos i see on celebrities or runways. thankfully, there´s this AMAZING innovation of real hair extension clips. the permanent ones are out of question for me. myHairclips invited us for a day in Basel to try different kinds of hair extensions which are from India. the clip set i am wearing on the pictures are the 160 gram set and i tell ya, it´s so refreshing to be able to wear my hair this length when i feel like it. then take it off when i want short hair again. 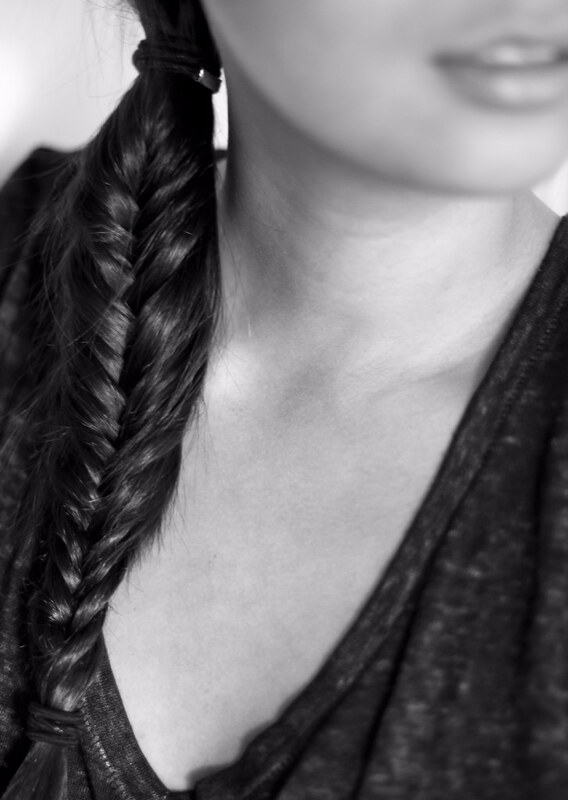 you´ve seen me sport the fishtail braid some posts ago and my latest favorite is this french side braid. the permanent hair extensions will just damage your hair...do the clips! they look just as cool! Maybe your inspo will give me a push! have fun with it, looks great! lange Haare stehen dir auch super. Ich liebe ja lange Haare! HipHop artist ProvySuflayy released' A Star Burnin Brite' the first single off his new album! !